Detailed review of TONI & GUY Cleanse Dry Shampoo. See what real experts and actual users have to say about this dry shampoo. TONI & GUY Cleanse Dry Shampoo worked very well to make my hair feel clean again. The application was easy with the aerosol can; the only downside was the amount of product that came out at one time. Once the product was in my hair, it was easy to work into the roots and make my hair much more voluminous and clean. I really like the way this product smells, and the smell lasted in my hair all day. The product kept my hair looking clean and fresh all day long. Overall, TONI & GUY Cleanse is one of the better dry shampoos I’ve tried. TONI & GUY Cleanse Dry Shampoo looked like a fine white powder when I first applied it to my hair. When I worked it into my roots, it gave my hair a nice amount of volume and made my hair feel much cleaner. In order to get rid of the white color of the powder, I had to brush the product through my hair a few times. The application of this product was fairly easy. TONI & GUY Cleanse Dry Shampoo is in an aerosol which makes the application easier by just spraying the desired amount into your hair. The only thing I didn’t like about the application is that the product comes out too fast and leaves an excessive amount in your hair. In order to get the excess product out, you have to brush through your hair a few times so it doesn’t look white and powdery. It comes out semi-wet and dries to a powdery texture after about 30 seconds. I love the smell of this product. The smell is fresh and floral but not overpowering or too strong. The smell stays nicely in your hair. 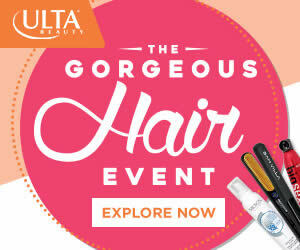 I would catch smells of the product in my hair throughout the day. I was impressed with the results I achieved from this product. I really liked the amount of volume it gave my hair. It also made my hair look and feel much cleaner as well as smell great. This dry shampoo lasted all day long; I didn’t have to apply more throughout the day. The volume also lasted all day long which is awesome! TONI & GUY Cleanse Dry Shampoo is $14.24 for 5.2 oz which comes to $2.73 per oz. That’s less than average… a great product for a great price! 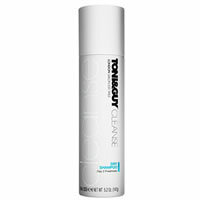 To buy TONI & GUY Cleanse Dry Shampoo, Click Here. The Results It gave my hair a lot of volume and good texture. How Long It Lasts It stays clean a full day. Price $14.24 for 5.2 oz.